The San Francisco Giants maybe late entrants into the Bryce Harper race but are said to be very serious about beating other interested franchises by making a compelling offer to the in-demand right-fielder. 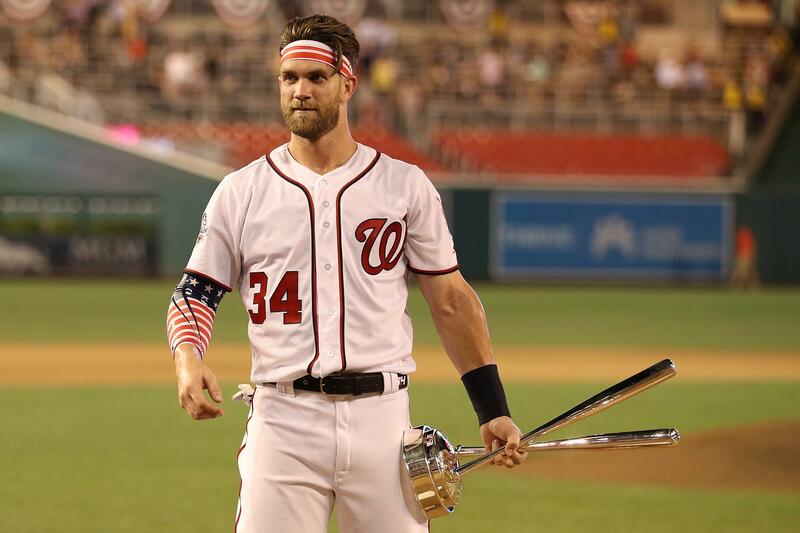 The Philadelphia Phillies were installed as the favorites to land Harper after their face-to-face meeting with the player in January, especially since they have the financial flexibility to meet his demands. The outfielder was seeking a long-term deal north of $300 million, which no team had offered thus far, leading to the ongoing long-drawn-out saga. The Chicago White Sox, the Phillies, and the Washington Nationals were expected to be the main parties in the Harper sweepstakes, but they have since been joined by the San Diego Padres, who also met with Harper last month, and now the Giants, who met the player at his home in Las Vegas last week. The Giants tried to keep the meeting on the down-low, but their CEO Larry Baer was spotted in Las Vegas by a Giants fan, which made it difficult to keep the meeting under wraps. The team’s president of baseball operations Farhan Zaidi revealed Friday they had a positive meeting with Harper but were aware they were competing with a number of other franchises. Giants are said to have made it clear to Harper the team was serious about bringing him to the Bay Area. According to USA Today’s Bob Nightengale, the Giants were even preparing to offer the outfielder a lucrative short-term deal to sign with them as they have no intention of meeting his demands of a long-term record-setting deal. The only team to have offered him a long-term deal was his former employers, the Nationals, when they reportedly offered Harper a 10-year deal worth $300 million, which he rejected. At the moment, details of any other offer remain unclear. The Harper saga could very likely drag on until March with the player seemingly in no hurry to commit, with new teams entering the fray as the offseason progresses. And at the moment, it looks like he will earn himself a record-setting deal, be it short-term or long-term. Meanwhile, Golden State Warriors coach Steve Kerr backed the Giants in their pursuit of Harper despite being a long-time fan of rivals Los Angeles Dodgers. He believes the addition of Harper to the San Francisco team’s roster will make the games better in the upcoming campaign. "It could be fun," Kerr said Sunday, as quoted in the San Francisco Chronicle. "I’d love it if Bryce Harper came here. Does my opinion matter? Bryce, come to the Giants! Let’s go! Is that true? Is that going around? Kind of? It’s exciting." "It would make the games more interesting,” he added when asked why he is backing the Dodgers’ rivals to land one of the most sought-after free agents in baseball.